The British Rally Championship, in partnership with M-Sport Poland and Pirelli, is offering the highest placed Fiesta R2T runner in the Junior BRC a once-in-a-lifetime opportunity to step into the FIA Junior WRC Championship. Britain’s premier rallying series is a well-known proving ground for rallying stars. Recent BRC graduates include Elfyn Evans, Jari-Matti Latvala, Kris Meeke and co-drivers Scott Martin and Sebastian Marshall all now fighting at the very top of the sport. 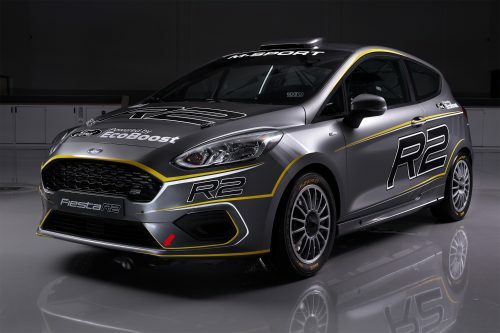 The latest career-progressing prize will be open to all Fiesta R2T drivers competing in the 2019 Junior BRC. The top driver after six rounds in an M-Sport, Pirelli-shod machine will receive a 30,000 Euro voucher from each company to put towards a full campaign in the 2020 FIA Junior WRC Championship (or similar M-Sport Poland – Pirelli series in the WRC), made payable on an event-by-event basis. The same 60,000 Euro prize offering will continue into 2020 in the British Junior Championship. Next year, the exciting Junior series for drivers aged 26 and under will switch to a Pirelli-backed, one-make M-Sport Ford Fiesta R2T competition, making it the perfect stepping stone to the WRC. “We’re very pleased to be able to offer such a great incentive for young British drivers,” said Junior WRC Manager, Maciej Woda. “M-Sport and Pirelli are both dedicated when it comes to creating opportunities for talented young drivers. And with similar schemes already confirmed in Finland, Estonia and Italy, it was important to introduce them here in the British Rally Championship – where so many great rally drivers started their careers. “Pirelli has always had a philosophy of supporting young rally drivers, through schemes such as Pirelli Star Driver and WRC Academy in the past, so we’re delighted to be part of this latest initiative to help bring young drivers onto the world stage”. Mario Isola, head of car racing, Pirelli. “We are very excited to be working with WRC giants M-Sport and Pirelli,” enthused BRC Manager Iain Campbell. “The BRC has long been the springboard for drivers and co-drivers to make that step-up to the higher echelons of the sport. As well as a secured spot on the 2020 JWRC entry list, we also understand the financial implications for young drivers trying to progress their careers and by working with M-Sport and Pirelli, the 60,000 Euro prize fund is another massive boost and will go a long way in giving the winner that helping hand. Registrations for the 2019 British Rally Championship are now open and entries for the season curtain raiser, the Visit Conwy Cambrian Rally (16 February), are now also open.